Hyperthyroidism (hi-per-thy-roid-ism) happens when your thyroid gland makes too much of the hormones T3 and T4. This makes your temperature, heart rate, and all your other body functions (metabolism) speed up. Your body works harder than it should. Hyperthyroidism is also called an overactive thyroid. have problems with your eyes, such as gritty eyes, double vision, or protruding eyes. If you don't get your over-active thyroid treated, it can make your bones become thin (osteopenia or osteoporosis) and cause an irregular heartbeat. Some people have a very sudden and severe flare-up of their over-active thyroid, which can cause heart problems. This is called a thyroid storm. It can be life-threatening, but it is rare. What causes an overactive thyroid? There are a few reasons why your thyroid might become overactive, but the most common one is called Grave's disease. Grave's disease happens when your immune system stops working properly. Your immune system fights off infections, but sometimes it starts to attack parts of your own body. 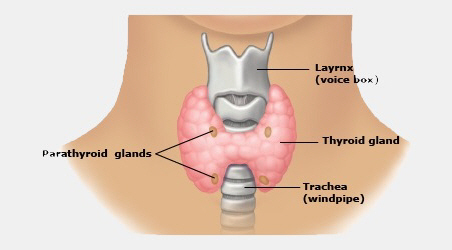 In Grave's disease it attacks your thyroid, which starts making more hormones as a result. Doctors don't know why this happens, but it sometimes runs in families. About one in 20 people who have Grave's disease will have the eye problems mentioned above. If this happens to you, you will need to see a specialist eye doctor (ophthalmologist) as well as a specialist hormone doctor (an endocrinologist). An overactive thyroid can also happen if small areas of your thyroid, called nodules, become overactive. And some medicines, such as lithium or amiodarone, can also cause an overactive thyroid. How do I know if I have an overactive thyroid? If your doctor suspects you have an overactive thyroid, you will have a blood test that measures your hormone levels. If you do have an overactive thyroid, you will also have this test later, to monitor how your treatment is going and check how well your thyroid is working when the treatment is finished. Unless you are pregnant, you will also have a scan to work out what is causing your overactive thyroid. On the next page: How is hyperthyroidism treated?